Former WWF wrestler Tom Magee — who competed in the late 80s — was brutally beaten by a group of men this week, allegedly over a parking spot. Witnesses told CBS LA as many as six men beat Magee to a bloody pulp Tuesday in front of his Mar Vista home following a confrontation. One person told the publication Magee serves as a neighborhood watchdog of sorts and the conflict was over who is allowed to park in the spot. Neighbors say Magee was being punched/kicked so hard it looked like “attempted murder,” but the beatdown ceased once people started coming out of their homes to see what was happening. The 59-year-old suffered a broken jaw and eye socket, as well as a concussion, but is now home recovering — according to CBS. Two men have reportedly been taken into custody, but the other suspects remain on the run. For those unfamiliar, Magee was trained by the legendary Stu Hart and wrestled with WWF for about 5 years. His win over Bret Hart in 1986 at a house show has become the most sought after video for tape traders, because it’s never been released. 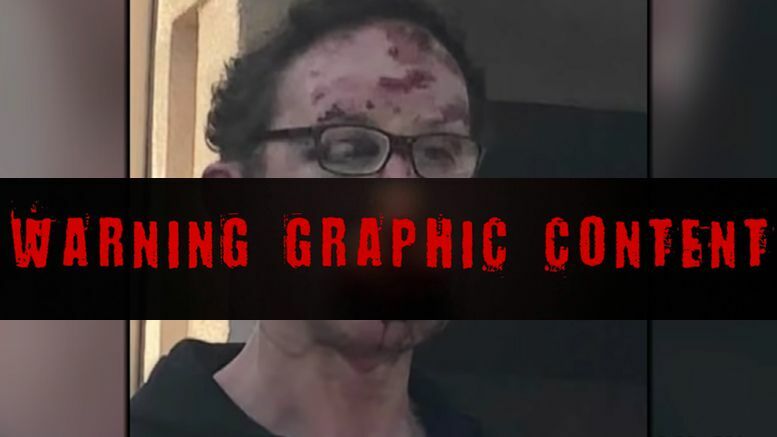 Watch the news piece below to see Tom’s graphic injury photo.